St. Paul’s Cathedral is a place of good news. My story of how I know this begins with a challenge posed at an Episcopal Church in Chicago: “In 25-words or less why do you believe the gospel is good news?” I don’t remember my first version but gratitude was a key word. In 1967, I moved to Des Moines to work for Better Homes & Gardens and was drawn to St. Paul’s location as a downtown church. I kept tinkering with the 25-word challenge. Each word needed to do heavy lifting. I juggled motivators such as compassion, healing, thankfulness, awe, service, God’s love, hope, community, joy, and belonging. Zest became my energizing word. It implies a receive-and-give relationship with Jesus along with the energy to bless the weary and tackle hunger, sickness, and tragedy of all sorts and conditions. As for me, I believe the gospel is good news because: I am loved and forgiven. Following Jesus adds zest to my life and it is changed. At the time of Cathedral status in 1993, I was editor of Iowa Connections, the diocesan newspaper, reporting good news in places large and small across the state. I noticed similar responses at times of celebration and disaster. Congregations repeatedly gathered at church to praise, pray, and pitch in. 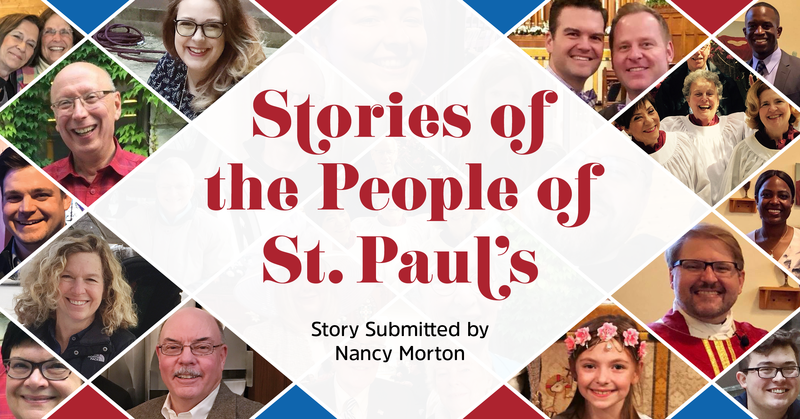 The Cathedral Church of St. Paul is a place of good news. “We are committed to accepting and giving Christ’s unconditional love through worship, fellowship, education, and service within and beyond our parish church” with zest.